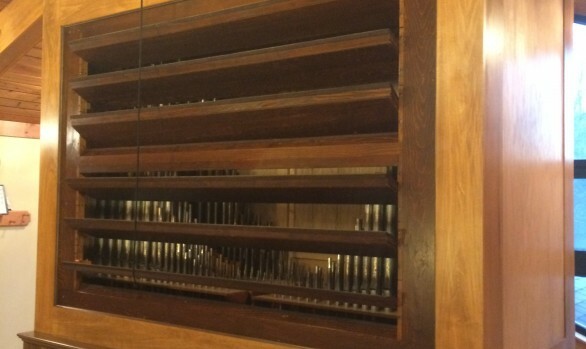 Being the magnum opus of the firm of Henry Pilcher’s Sons, the magnificent instrument in the WWI Memorial Auditorium was held in high esteem by many of the famous organists who graced it’s console, including Charles Courboin and Marcel Dupre, who no-doubt marveled at the vast tonal resources, complimented by the auditorium’s resounding acoustics. 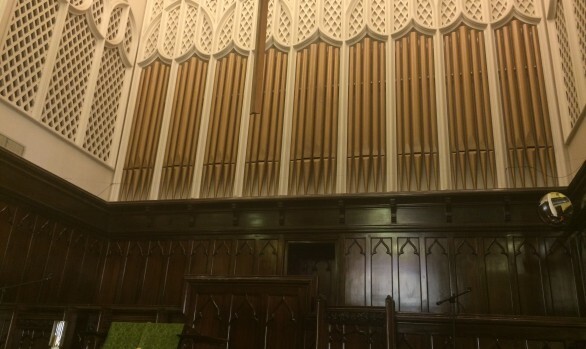 After the auditorium was renovated in 1954, which left much of the organ blocked off to the auditorium, the instrument fell into neglect. 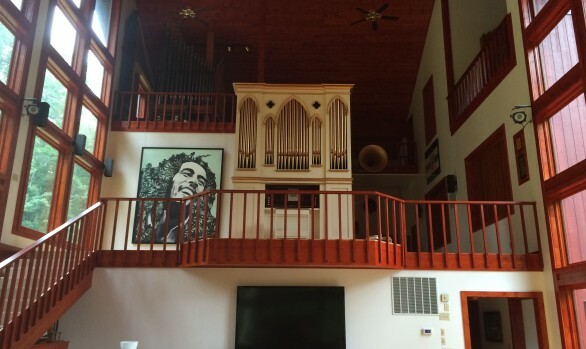 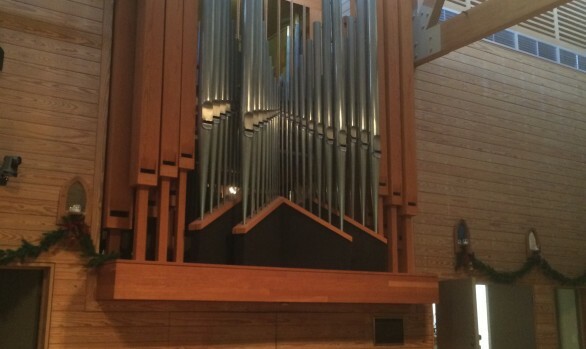 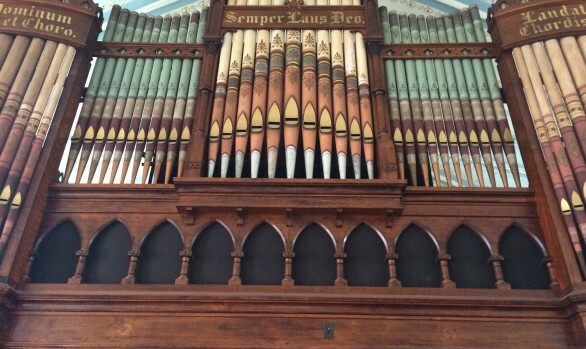 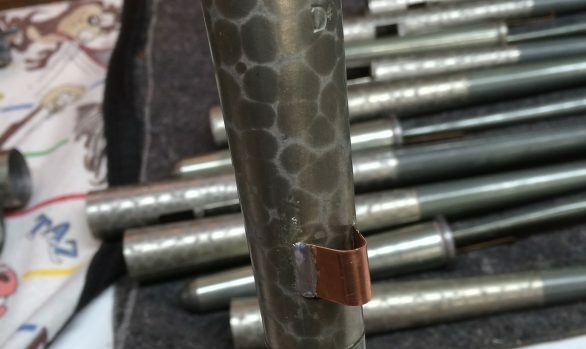 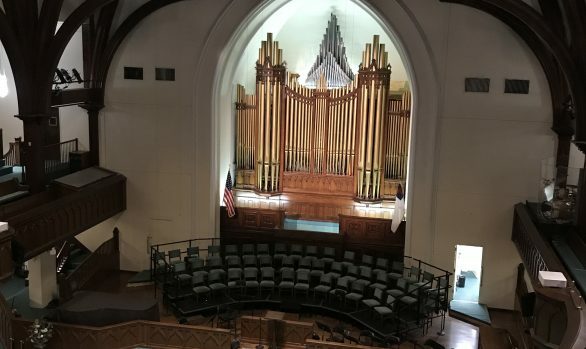 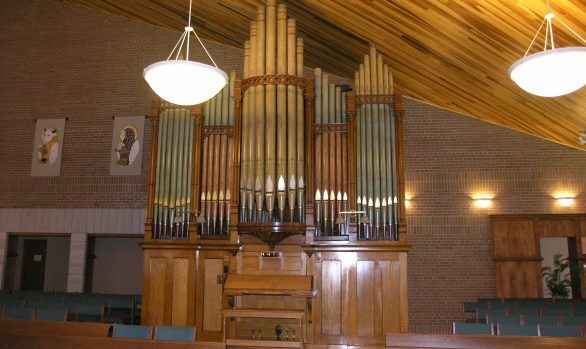 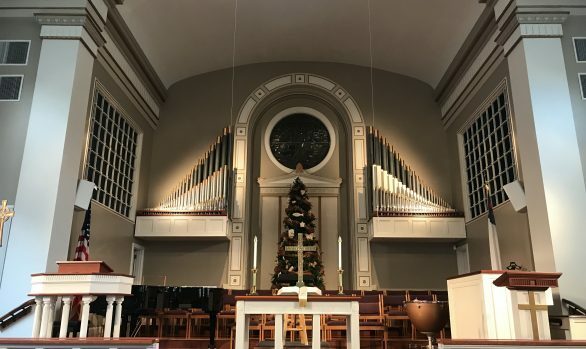 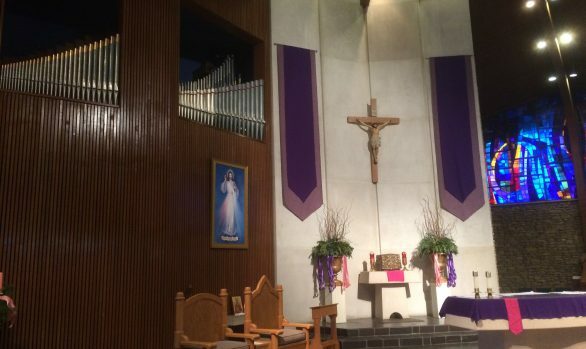 Thankfully, the William H. Bauer Foundation was set up to bring the organ back into the light, providing funds for maintenance and restoration. 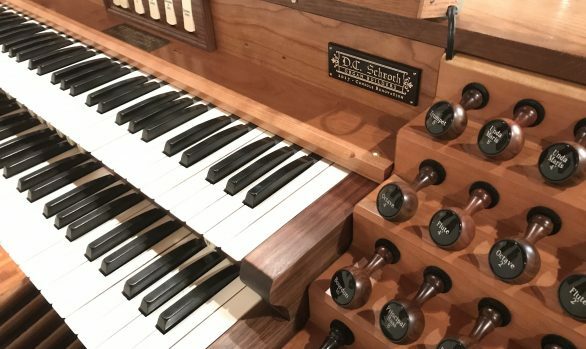 Since September 2014, David Schroth, Jr. has been the project manager of the restoration effort, guiding the talents of the volunteer crew in a slow-but-steady effort to return the instrument to reliable service. 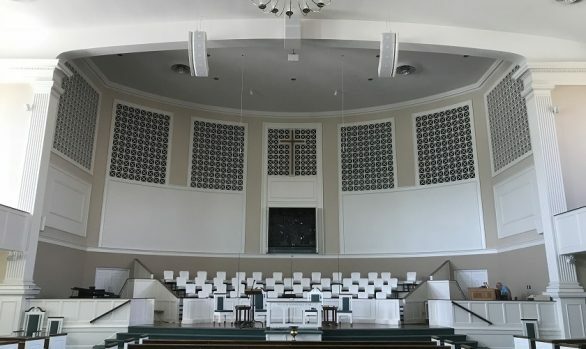 Under this guidance, the console renovation, begun by the late Sam Bowerman, was completed, and the Solo division was cleaned and re-assembled.